June 21-23, 2019 at Squaw Valley, CA. The Broken Arrow Skyrace represents the first official Skyrace to occur in California. This iconic race encompasses more than just running. It is a true test of how fast you can move through the mountains. It races up mountain trails, scrambles across ridgelines and up gullies, and speeds through Tahoe’s forests. It provides a rewarding challenge for everyone who wants to test themselves in the mountains. The race will start in Squaw Valley and romp through the mountainous terrain surrounding the area. REDEMPTION – Hillary Allen at the 2018 Broken Arrow Sky Race from Broken Arrow Skyrace on Vimeo. The Broken Arrow Skyrace will have 3 distances: – A “VK” or vertical kilometer distance that is 3-3.5 miles and gains ~3200 ft. This race ends at the top of a mountain. This race is part of the Altra US Skyrunner Series. – A 32.23 mile distance with over 11,000 ft. of elevation gain. This race follows a loop course and will start and finish in Squaw Valley. 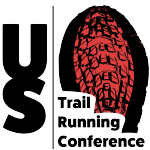 This race is part of the Altra US Skyrunner Series. – A 16.4 mile distance with over 6000 ft. of elevation gain. This race follows a loop course and will start and finish in Squaw Valley. 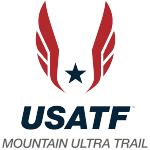 This race is NOT part of the Altra US Skyrunner Series. As we finalize the course details and permits we will add those details to this site. For now know that the race will be incredible and unforgettable.